August 2018 marks the 250th anniversary of HM Bark Endeavour departing England on a three-year odyssey – among the most important European voyages of discovery. 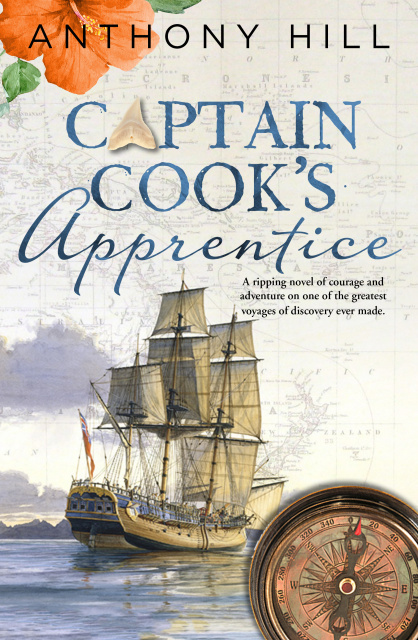 It's thus a great joy for me that Penguin-Viking published a new and expanded edition of Captain Cook's Apprentice to commemorate this important event in our history. The Endeavour voyage is one of modern Australia and New Zealand's principal foundation stories. The voyage was significant for the vast amount of new scientific knowledge it brought back to Europe: for navigation, astronomy, geography, botany and the nascent science of anthropology; for the extraordinary accuracy of Cook's charts of New Zealand and the east coast of Australia, which led to the first British settlements in future decades; and for its impact no less on artistic and political opinion which help shape great change at this period of history. Yet whatever the enormous consequences that flowed from the Endeavour voyage, it remains a great adventure – from death in the snows of Tierra del Fuego, to the tropical paradise of Tahiti ... the Maori warriors of New Zealand ... Botany Bay, and aground on the Great Barrier Reef... to the horrors of Batavia in the Dutch East Indies, where death finally caught up with them. I'd long wanted to write the tale with the immediacy it would have had to someone hearing it for this first time in 1772, and finding a reference to young Isaac Manley in Beaglehole's Life of Cook gave me a way into it. He was a servant on board the ship, and when they left Plymouth he was only thirteen – at that time in life when everything is new. He went on to become an Admiral, lived to be eighty-two and was the last survivor of the Endeavour crew. Isaac saw the changes that began to follow in Cook's wake: the first British settlements in the antipodes, and the vast expansion of the Europeans into the South Pacific for both good and ill. Indeed, the boy who learned to sail with Captain Cook, lived long enough to see the first steamships cross the Atlantic. This new edition contains all of the material from the 2008 publication, but I have added several historical passages that were dropped for space reasons, and I have reinserted a wholly fictional section where I have Isaac his first love. When they reached the welcoming island of Tahiti, where love could be purchased for a mere scrap of iron, Cook tells us he was the only chaste man on the ship. I thought that gave me the green light to give Isaac his first girlfriend; but because the first edition was mainly intended for schools we dropped it on advice. Now I have happily given Isaac back his Heimata – and indeed expanded a little upon the topic. I cannot say how happy I am that the story of this epic voyage is once more brought before a new generation of readers.